Hey guys! Today, I'm here to give you a list of things you will ACTUALLY need and use your first year of college. A lot of posts that I've read for a list of college essentials last year when I was going into my first year were very in depth and contained a ton of stuff. I also (being the person I am) over packed WAY too much. 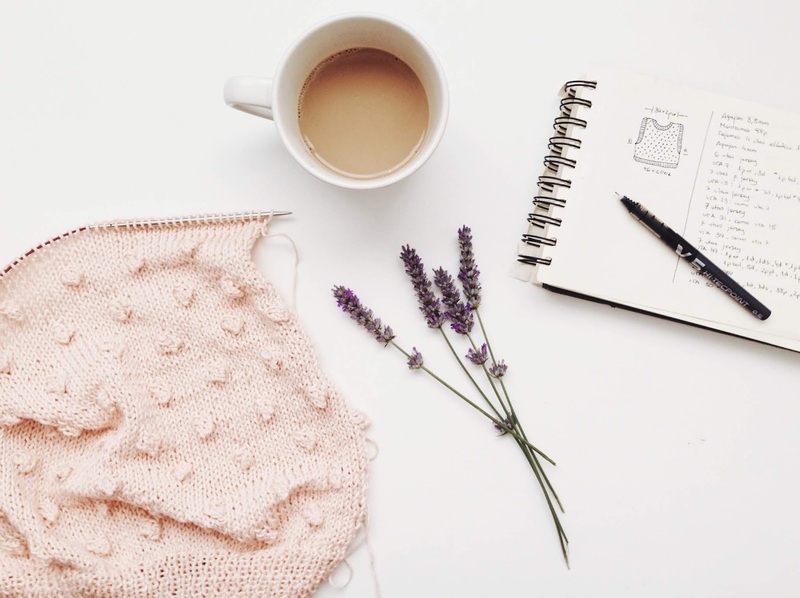 So today I'm sharing with you a list of things that you actually need and the stuff you don't, so you avoid over packing like I did. For me, moving away for college was a MAJOR spring cleaning for all of my old clothes. Except I didn't realize it until after I moved back for break. I brought almost everything I owned to school, when in reality I wore less than half of it the entire time I was away. And seriously that's it for clothes. I am NOT kidding you- I am a major in FASHION and I sincerely did not need more than half of the clothes I brought. I think the major key is about having a lot of blouses that you can mix and match with and corresponding pants. Wrap dresses are so perfect for the summertime. They're so easy and light weight. 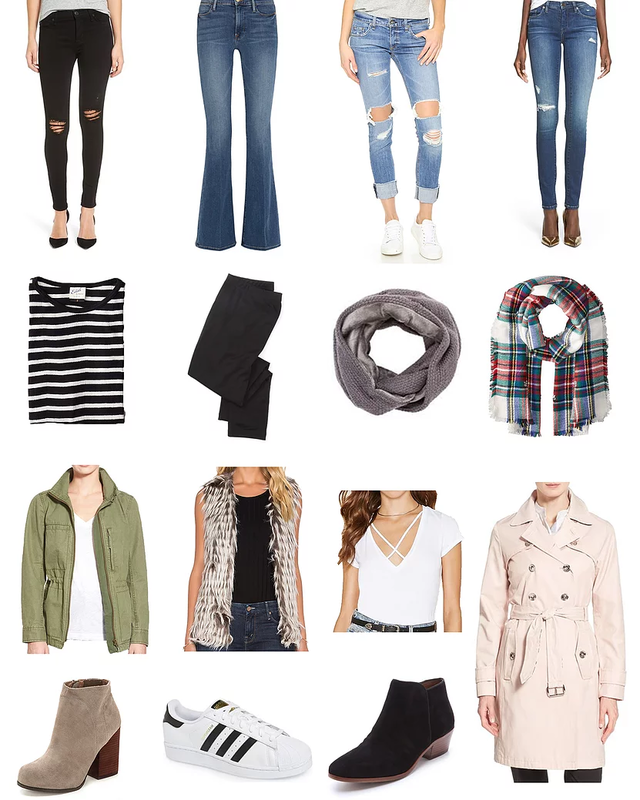 These are some of my fave right now and they're all pretty affordable! 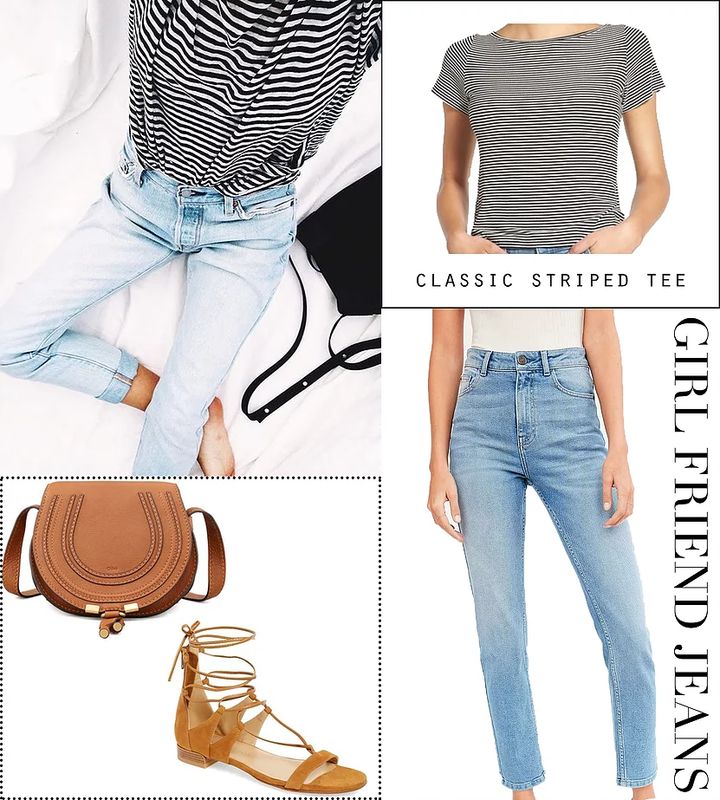 I love the look of girlfriend jeans with a casual striped tee. These jeans from UO are honestly p-e-r-f-e-c-t. They fit my idea of a perfect pair of girlfriend high waist jeans. I paired these lil babies with some tie up sandals and a neutral colored crossbody. 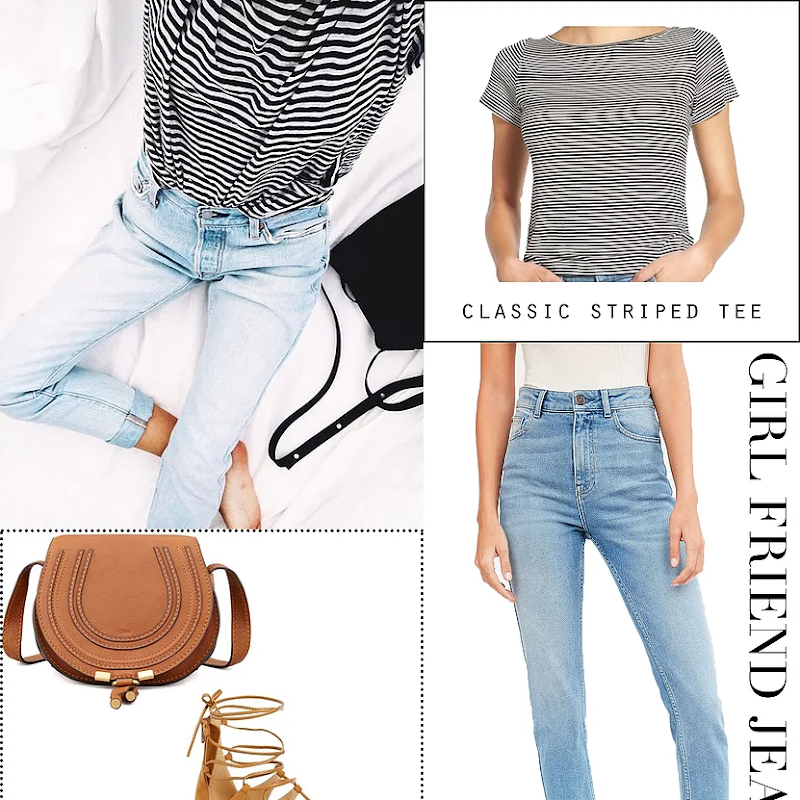 This outfit is great for running errands in the city and just hanging with some friends! Hi lovelies! So today I'm bringing you two styled outfits for hot days in the city. Whether you're a NYC gal or all the way on the west coast, these outfits will be sure to help you look gorgeous and keep you cool. 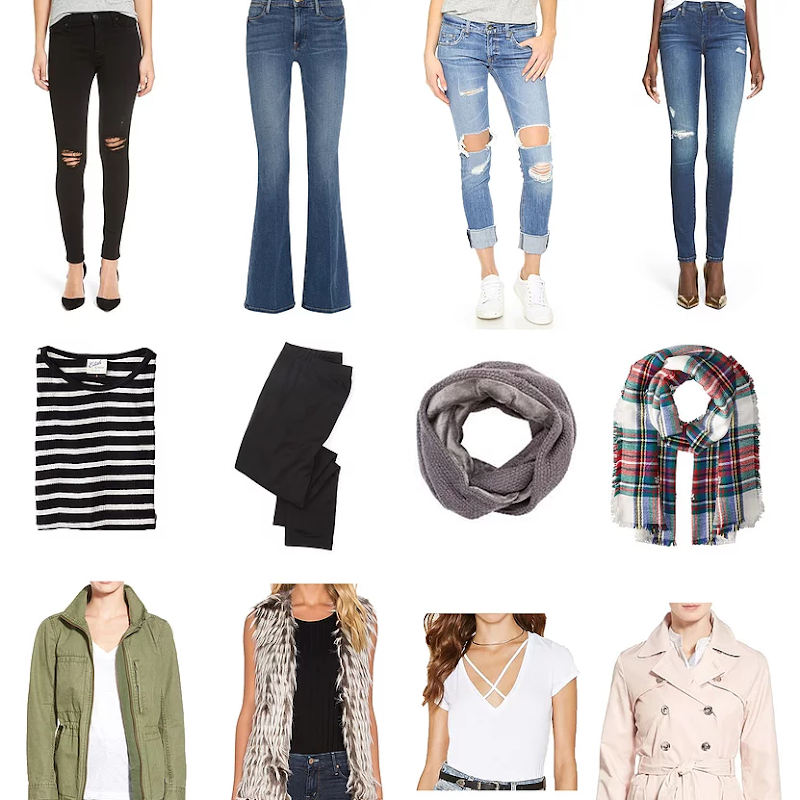 There will be three more summer city looks coming within the next few days on the blog; so keep an eye out for them! This first look is one of my favorites! If only I had the guts to wear it. I've seen soo many fashion influencers wearing slip dresses lately- they are so so cute and can be worn either casually or formally. The light and silky fabric is also going to keep you cool in these hot summer months. I also love the velvet choker trend going on- so 90's. I just recently purchased this black button down denim skirt (linked above) and fell in love with it. 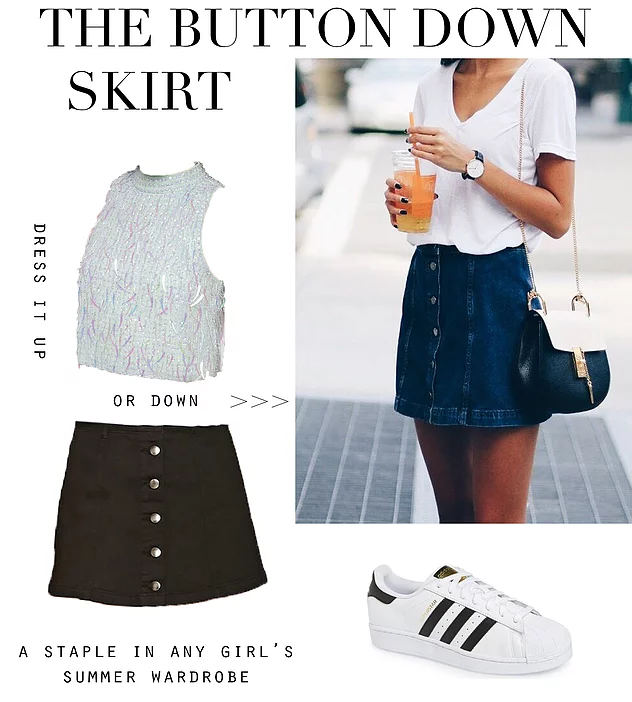 I never thought that I would be into wearing a denim skirt, but styled with the right pieces this staple can flatter any girl! You can do so much with this outfit like dressing it up by adding a fancy top and some heels, or by dressing it down with a casual tee and some sneakers. This is also great for the fall months because it can be paired with some tights and booties!